Private 19911 William Westall, 2nd Battalion, Royal Berkshire Regiment. Speenhamland School, where William was given a rudimentary education. William was born in Newbury in 1896 the son of William Westall and his wife Maria née Rosier. He was one of seven children, the full set being: Albert George (born 1886), Ellen Maria (1889), Emily Flora (1891), Elizabeth Ann (1893), William (1896), Jesse (1898), John (1903) and Lilian May (1906). Elizabeth died in 1897 aged only three. There is a little doubt about Albert’s parentage because at the time of his birth he was registered as Albert George Rosier, and William and Maria did not marry until a few months before the birth of his sister, Ellen. Notwithstanding his registered name, he would become known as Pat Westall, and would be celebrated as a local war hero (see below). The Westalls lived at a number of Newbury addresses, in 1905 they made their final move to 4 Taylor's Buildings, a terrace of 7 cottages in Speenhamland Backway (now Pelican Road). 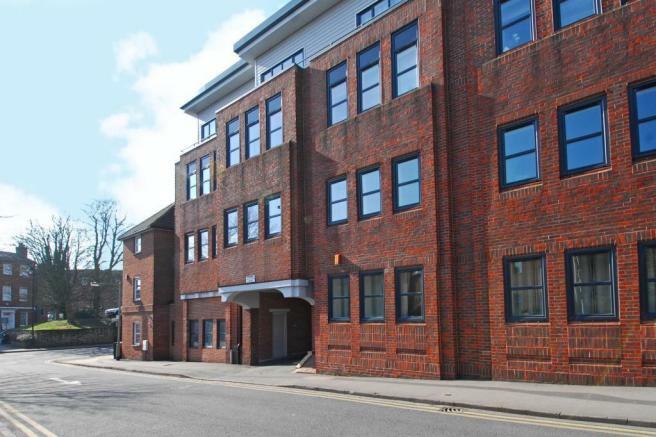 The terrace was replaced in the 1990s by an office block - 'Taylor's Court' - recently converted to flats. Pat was a local Territorial, a part-time soldier who went to war in 1914, but his brother William was not so keen, leaving it until January 1916 before volunteering to serve. The date is significant because it might indicate that William had determined that, if he had to serve, it would be with his brother’s regiment, the Royal Berkshire Regiment. The reason for this is that conscription was introduced exactly one week later. By the 20th January it would have been apparent from newspaper reports of the new Bill going through parliament that conscripts would be sent where they were needed and that their own wishes would only be followed if it suited the Army. It would also be known that a single 19 year-old would be among the first to be called up. Enlisting before the new Military Service Act became law allowed William to choose his regiment and only brought forward his time in uniform by a month or two. Taylor's Court - on the site of Taylor's Buildings, where the Westalls lived from 1905 and through the war years. So William left his job as a cowman on Woodspeen Farm (he had worked on farms since he left school) and donned a khaki uniform. After training he was posted to France and the regiment’s 2nd Battalion, which was preparing to do its bit in the ‘big push’. The 2nd Royal Berks went over the top on 1 July 1916, the infamous First Day of the Somme. Tasked with the capture of a section of the German line in front of the village of Ovillers, they had to cross a wide stretch of no-man’s land in a shallow depression known as Mash Valley. The fate of the battalion was not a happy one; the valley was overlooked by multiple German machine guns (which flanking battalions failed to knock out). Some men are reported to have made it into the German trenches and to have held a section for a while. However, this limited success was to no avail, it was impossible to reinforce them and they were soon dead or captured. William was among the 437 ‘other rank’ casualties suffered by the battalion and was reported as missing in action. Naturally his family held on to the tenuous hope that he was alive, captured by the enemy, and would soon write to let them know he was well. As time passed families in this situation would conjure up ever more fanciful explanations – he was wounded and unable to write, or he was suffering from amnesia and would eventually remember and get in touch. But good news would usually arrive within a month or so because the Red Cross did a fine job of monitoring the inmates of the German POW camps and hospitals. Mrs Westall, 4, Taylor’s Building, Speenhamland, has just received news from the War Office of her son, Pte William Westall, who has been missing since July 1st, 1916. He is now believed to have been killed. He left the employ of Mr Collier, Wood Speen Farm, to join the army on January 20th, 1916, and went to France with his regiment, the 2nd Royal Berks, on May 24th, Mrs Westall has two other sons now serving with the colours. Sergt A Westall, who has won the DCM, and recently, and recently has been presented with a silver medal from the King of Montenegro for his bravery. The other son is at Salisbury where he is doing his training. His body was never identified, accordingly his name is remembered on the immense memorial to the missing of the Somme at Thiepval in France. 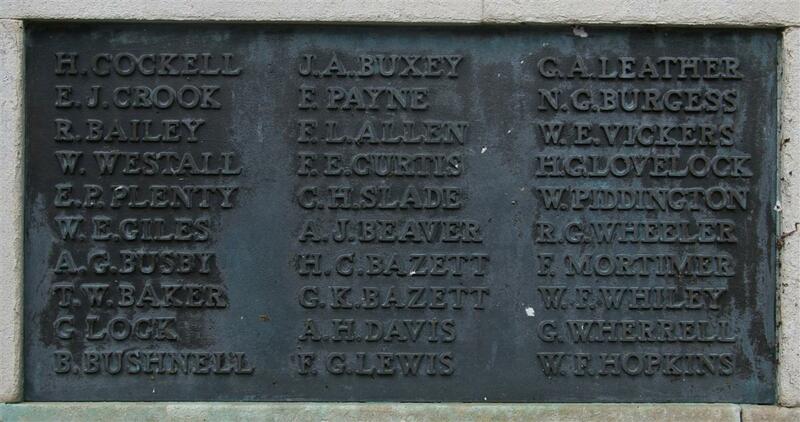 Locally he is remembered on tablet 9 of the Newbury Town War Memorial as well as the Speenhamland Parish Memorial. He was also named on the memorial board erected in Speenhamland School, which has, sadly, been lost. The newspaper report of William’s death mentions Pat (Sergt A Westall) and the ‘other son’, which must be Jesse because John was too young to serve during the war. Several Jesse Westalls served overseas during the Great War, thus qualifying for the award of a Victory Medal and British War Medal. The medal rolls (lists of recipients) for these medals are the most complete surviving record of those who served. However, the rolls do not give sufficient information to distinguish between recipients of the same name unless their regiment or regimental number is known. Probably the most likely to be Jesse from Newbury served with the 31st Training Battalion (indicative of a relatively late recruit – Jesse would not be liable for service until he turned 18 in 1916) and then the 9th Battalion, Welch Regiment. As a conscript it was quite possible for a Newbury lad to serve in a Welsh regiment. However, this is far from a conclusive identification; all that is known is that Jesse survived the war; he died in Stockport in 1979. Pat Westall, DCM & Bar, was born in 1886 at Kintbury as Albert George Rosier. In 1889 his heavily pregnant mother married William Westall and young Albert became a Westall. It is not known if he was William’s son, but he was raised as such. How he came to be known as Pat is a mystery. The Westalls moved to Newbury in the mid 1890s and Pat was educated at Speenhamland School, which he would have left by age 13. He then found work as a grocer’s errand boy for a while before getting adult employment, and by 1911 he was working as a storekeeper for a local paper manufacturer. In 1910 he married Beatrice Alice Brown and their first child, Albert Joseph, was born the following year. In 1914 a second child - Alfred George - increased the size of the family; they were living in Westbourne Terrace in Speenhamland, but later moved to neighbouring Eastbourne Terrace. When war broke out in 1914 Pat was employed as a gardener. He was also a member of the local company of the Territorial Force – the Newbury (E) Company, 4th Berkshire Battalion. The Territorial Force was created in 1908 under the Haldane Reforms of the British Army and Pat was one of the first local recruits. However, there is evidence that he had previously served with the Newbury Volunteers, which was replaced by the Territorials. Service with the Territorials was for a four-year term, after which the man could sign on for another four years, or, in times of crisis, the Army could extend the service by one year. This meant that there were a number of men whose time expired during the war and were able to walk away from the Front, mainly in late 1915 early 1916 (following the extra year added on by the Army). This practice was ended after conscription was introduced because men could simply be conscripted back into service. Since early in the war, when Sergt Winter, of the Royal Berks, was acclaimed as the first Newburian to obtain recognition by being awarded the Distinguished Conduct Medal for meritorious service, there has been no other townsman who has distinguished himself in a like manner. There is no doubt that the large number of our residents who are at present doing duty in the various battle zones, are upholding the honour of our race in no uncertain manner, but it was not until last week that we could point to another who had been placed on the list of those mentioned for services gallantry rendered. The honour on this occasion has been won by a member of the Newbury Company of the Territorials (1/4th Royal Berks), namely Corporal A G Westall, of Eastbourne Terrace, Speenhamland. This young fellow, who is more generally known as “Pat” Westall, went out to the front with his company, holding the position of lance-corporal, and in company with Lieut Gathorne-Hardy, he crawled along the trenches on one occasion and secured valuable information respecting the formation of the enemy’s lines. For this week he was promoted to Corporal, and presented with a green field service card for meritorious work. Of the actual deed which won Corporal Westall the Distinguished Conduct Medal, particulars are not yet known. 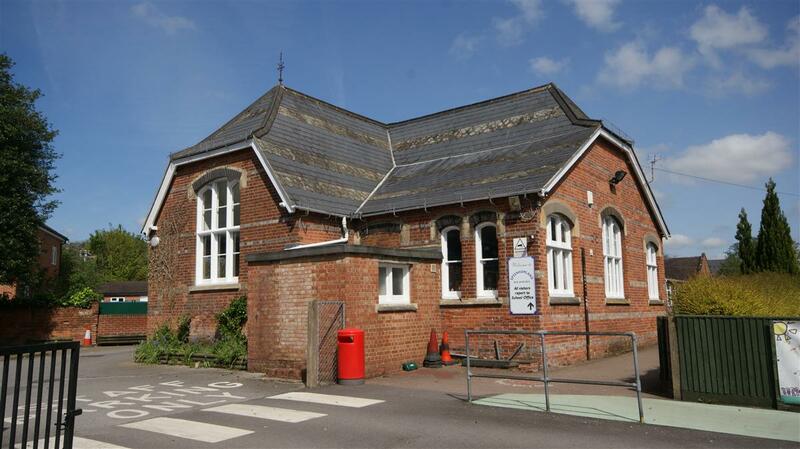 He was a scholar of St Mary’s (Speenhamland) School, and was for many years in the Speenhamland CLB, under the Rev Walter Boldero, leaving which he joined the Newbury Territorials, in which he has completed eleven years. He was for a good part of this time bugler of the Company, and they are no doubt proud to think that one who has always proved a good comrade and keen soldier, should have attained this distinction. Corporal Westall has recently completed his service with the 4th Royal Berks and having signed on again, he is expected home shortly to receive his decoration and spend a month’s leave with his wife and two children. For conspicuous good work when successfully carrying out daring and difficult patrols. The old Newbury (E) Company of the 1/4th Royal Berks, has yet another laurel to add to its roll, and though this time it does not mean that an additional name is added to the record, it is nevertheless noteworthy in the fact that one of their most popular non-coms, has again received an award of merit. It was about the middle of January last when we recorded the fact that Corporal A G Westall, more familiarly known as “Pat”, of Eastbourne-terrace, Speenhamland, had been awarded the DCM for meritorious service while engaged in observation work in company of Lieut Gathorne-Hardy. Information is now to hand that “Pat”, who has been promoted to the rank of Lance-Sergt, has been awarded a bar to his Distinguished Conduct Medal for pluckily removing an officer and several men to a place of safety whilst under fire. In fact he had been recommended for a higher honour. 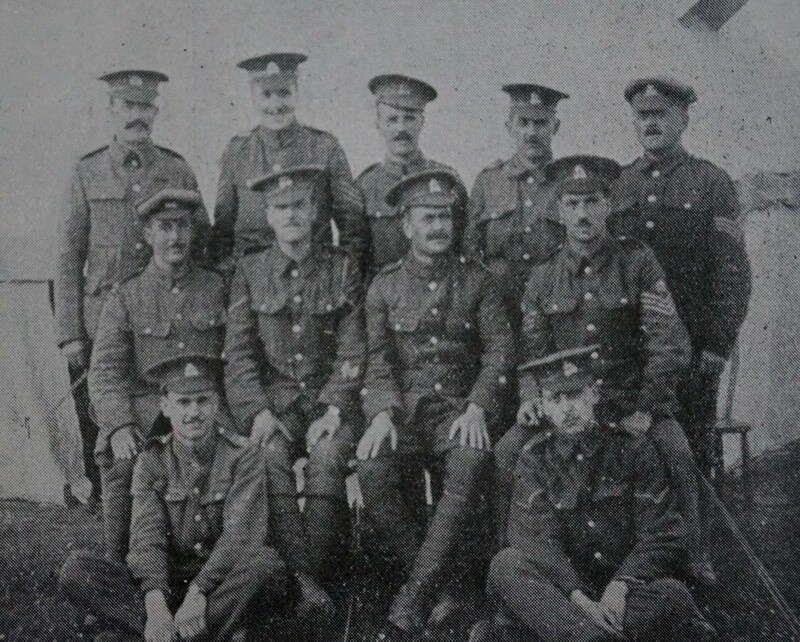 Pat Westall (middle row extreme left) and comrades recuperating in England, 1916. Sergt Westall was home on sick leave last week, and was modestly disinclined to refer to the occurrence which earned him this familiar distinction. A representative of the NWN however, gathered from him that his company took part in an early morning attack, but had to retire. They had a large number of casualties, and Sergt Westall, seeing an officer lying wounded, removed him to a shell hole and dressed his wounds. He then brought several men to the same place, and performed a like task. His next act was to fetch water for his disabled officer and comrades, after which he remained with them until nightfall, when he conducted a stretcher party to the spot, and the men were safely removed. Congratulations are offered to Sergt Westall on the successful performance of such a plucky piece of work, and his many friends will be please to know he has completely recovered from the attack of trench fever with which he has been laid aside for a few weeks. For conspicuous gallantry in action. When an attack by two companies had been held up by very heavy machine-gun fire, he remained out for a long time helping the wounded. He crawled from shell-hole to shell-hole, bandaging and giving water to those who could not move. 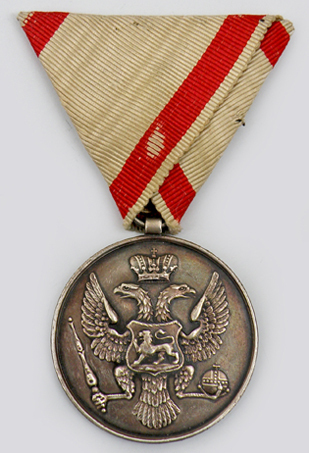 He would also be awarded the Montenegrin Silver Medal, one of a batch given out seemingly to recipients of other awards. Foreign awards such as these were handed out from time to time, often following a VIP visit to the BEF by the monarch of an allied country who would have a boxful of medals to be distributed as the BEF commander saw fit. Pat recovered from his bout of trench fever and returned to the front, but not to his old unit. This time he went out the 2/4th Battalion, Royal Berkshire Regiment. Lieut-Col Dimmer, VC, MC, commandant of a Berks Territorial Battalion, lecturing at Reading made special reference to Sergt “Pat” Westall of Newbury, who had won the DCM with a bar, and another honour, Lieut Kenneth Smith and Sergt Westall went out in daylight in front of the German trench. The enemy were there, and started firing, Westall got them into a hole and started throwing grenades at them. Lieut Smith came back to the colonel and told him what had happened, and he instructed him to go and fetch the sergeant in. He went, but came back without him. They all thought Westall had made the great sacrifice, but they learnt now that he was a prisoner. Lieut Smith was the youngest officer he had, and he did splendidly on this occasion, whilst Westall’s bravery was to be commended. Once again Pat had demonstrated exceptional courage in a tight situation, worthy it seems of another medal. If it is viewed as a man sacrificing himself so his comrades could escape safely, this could easily have resulted in another recommendation for a VC. Perhaps the belief that he had been killed dissuaded his commanders from recommending another medal. Reading between the lines (quite possibly unfairly), there appears to be an issue with Lieut Smith’s behaviour viz abandoning Pat to his fate; to be ordered back into no-man’s land by his Colonel might be construed as a reprimand. If a recommendation for a gallantry award cast an officer’s behaviour in poor light, might this not reduce its likelihood of submission? Pat was repatriated from Germany in 1917, which indicated he was seriously wounded (the Germans would not send back a man who was capable of returning to the fight). On 10 July 1918 Pat’s military career was officially ended when he was discharged from the Army, no longer fit for service owing to his wounds. He returned to his family (his third son, Patrick, was born in 1919) and lived until 6 July 1959 when he died in Kensington aged 72. The confusion over his surname continued after his death – probate was granted to his eldest son, Albert Joseph Rosier, over the estate of ‘Albert George Westall or Rosier’.